Not a dog food recall! This came in three days ago and is a head’s up. Why Is the FDA Concerned About Salmonella and Listeria? As before, the more this can be shared the better. In twenty-four hours time it will be January 1st, 2017. I saw the following recently on the Care2 website and thought that at many levels it would make a wonderful closing post for 2016. We’re about to turn over a new leaf on a new year — something I think we’re all pretty excited about — and it’s a good time to sit back, take stock, and think about what we want to do for ourselves, and the world, in 2017. New year’s resolutions don’t have to be big and fancy, and sometimes they work best when they’re small and manageable, so I rounded up seven totally free ways you can help animals next year, from something you can do weekly (like writing letters) to bigger projects (like fostering animals). 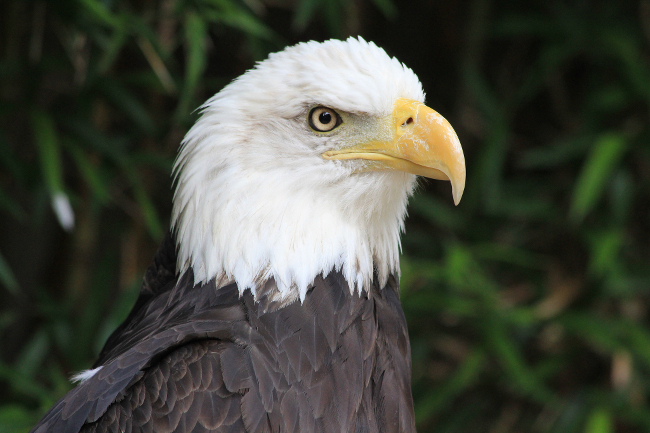 1) Keep an eagle eye on upcoming animal-related legislation. Chances are that there’s some animal-related regulation coming your way in 2017 on the local, state and even federal level. This includes laws and ordinances as well as rules, regulations and executive orders. You can make a big difference by weighing in on these issues — sometimes, surprisingly few members of the public comment! You can take advantage of resources for animal welfare groups and sites like Care2 to keep track of big upcoming government actions. You may want to call or write to support legislation, to ask that it be more robust, or to oppose it, depending on the contents. For legislation, you need to contact your elected official to explain how you feel and provide a concrete action to take, like “Please cosponsor this bill” or “please vote against this bill.” Rules and regulations are opened to public comment by the agencies making them, allowing you to speak at public meetings or submit written comments. The Federal Register is a great place to search for upcoming regulations — it’s a little bit intimidating at first, but don’t let that put you off! 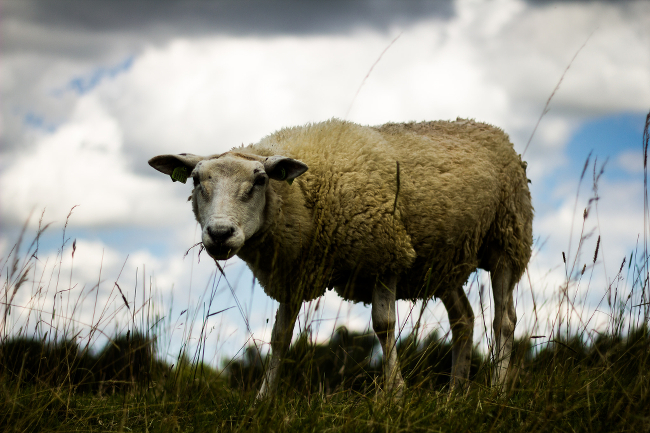 2) Don’t be sheepish — speak up about nonlethal solutions to predators and pests. No matter where you live, there’s probably a battle brewing over feral cats, mountain lions, raccoons, coyotes, skunks, alligators, or someone else from the non-human world who’s getting squeezed by human incursion into its habitat. Historically, many areas have favored a lethal response to animals deemed “pests.” You can change that — and you already are, across the country. When you see animals on the agenda, speak up to request investigation into a nonlethal solution to a problem. For example, maybe a feral cat colony is causing controversy in the community. You can talk about how responsible colony management should control numbers and limit annoying smells. You could also discuss how research shows that TNR can be more effective at long-term colony management than just trapping and removing cats — in Florida, they found that doing this just allowed other predators to move in, creating an even bigger headache! Come backed with research and evidence, rather than emotion. You can look to advocacy groups for their data, but also explore scientific papers, and see how other municipalities are dealing with the same problem, because they may have tips to share. 3) Lend a paw at a local animal welfare organizations. Animal welfare groups can always use volunteer help. At the shelter, they don’t just need a hand with cuddling cats, walking dogs, and handling other species. They need all kinds of help, from more boring stuff like cleaning and filing to web design, social media management, legal counseling, accounting, event planning, and much more. 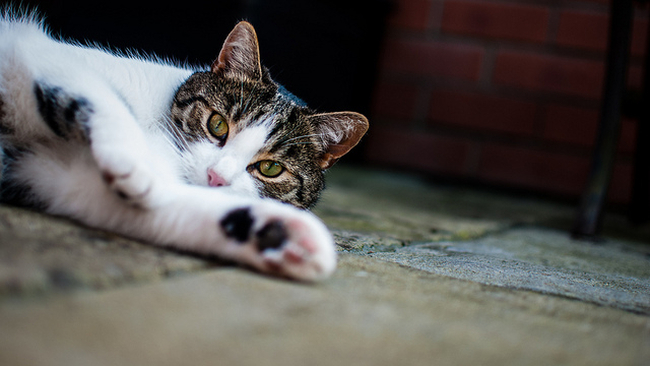 Even something as simple as taking your camera (or your photography class) to the shelter once a week to photograph everyone who’s looking for a home can make a huge difference. It turns out that great shelter photos save lives! Advocacy groups that don’t run shelters or don’t have one in your area also need help. Lots of mundane office stuff is time consuming, and volunteers can make it go more smoothly, whether you’re stuffing envelopes or answering phones. If you have special training or skills, offer those too, especially if you’re willing to get into a long-term relationship with the group. Pro-bono legal services, for example, are incredibly valuable. Your graphic design skills could help them relaunch an impressive, gorgeous website. You get the idea! 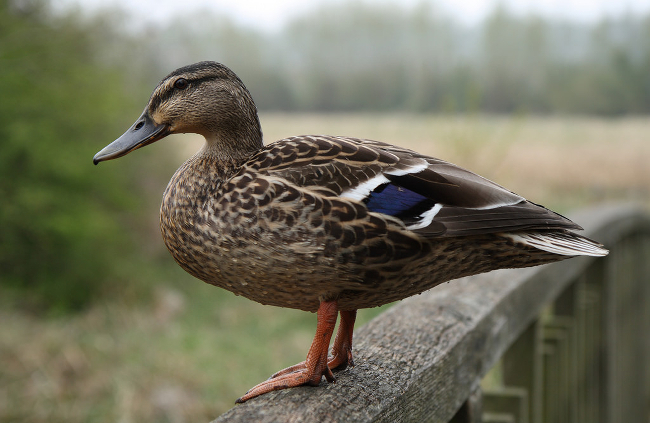 4) Don’t duck the issues — teach youth about animal welfare issues. Many kids love animals, and the best time to hit people with humane messages is when they’re young. Some organizations actually offer humane educator training to help people learn about how to communicate with children about animal welfare issues. 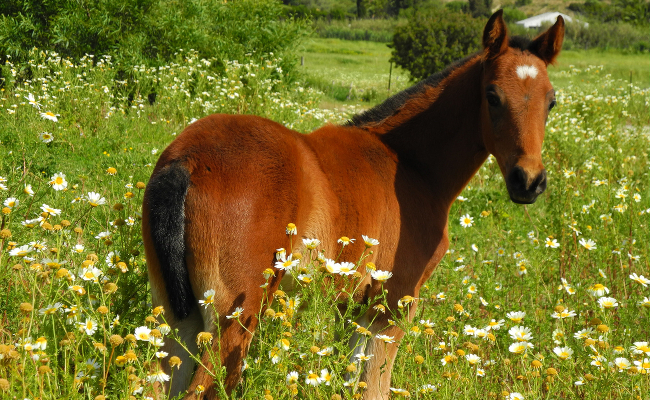 Humane educators can lead classes and mentor kids in the community, whether they’re taking people on bird walks and teaching them about ecology or working with kids who are learning to ride horses to teach them how to handle their mounts respectfully and kindly. 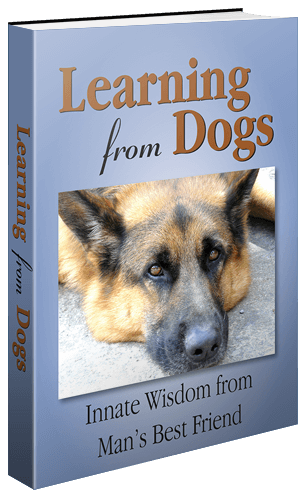 If you already are an educator, consider working humane topics into your curriculum. If you’re not, look into what might be required to teach classes at a community center, mentor students in programs like 4-H and FFA, lead educational sessions at a local museum (another great volunteer opportunity! ), or come into classrooms with presentations. You may need some training and a background check to work with youth, but once you’re squared away, you can establish lasting relationships with teachers and schools to introduce humane coursework to the classroom and beyond. 5) You’ve goat mail — or at least, someone will after you write a letter on behalf of animals! Once a week — or every two weeks, or once a month — resolve to sit down and write a letter. It doesn’t have to be an epic, and you can establish a template, but pick a specific person to target, and go to town. Maybe you want to write a letter-to-the-editor once a month about an animal issue in your community that you’re concerned about. Perhaps you want to write a letter to a corporation to ask them to stop, or start, a practice related to animals — like dropping animal testing, or introducing tougher humane standards to the supply chain. Keep your letter concise, polite and actionable. Explain why you’re writing, the basis for your concern, the solution you’re recommending and why. You can appeal to issues like cost efficiency, making your town more attractive for visitors, compassion for animals (that’s why we’re here, after all! ), falling in line with industry-wide practices, setting an example for others, or any number of other things. Present a clear case for what you’re arguing so that the person reading your letter is moved to act, and has something to bring to other people while trying to convince them to get involved. 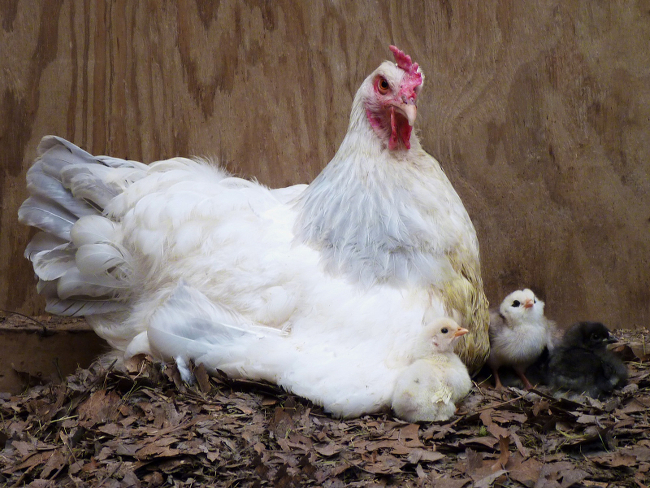 6) Be a mother hen — foster somebody in need. If you can’t adopt more animals or don’t have room for a full-time friend in your life, consider fostering. Fostering saves lives, getting animals who can’t handle shelter stress or who need a little extra care to a safe place where they can unwind and grow into themselves. Some shelters have foster programs, and many animal welfare groups do — some run almost entirely on fosters, in fact! 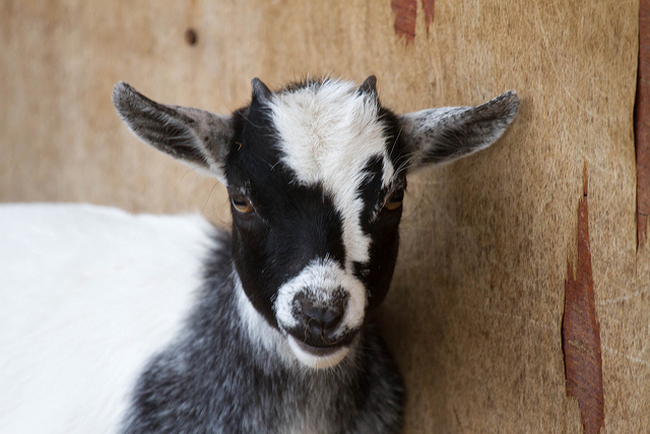 When fostering, be honest about what you can and cannot take on: For example, if you have a barn, you might be able to handle horses and sheep, but not notoriously mischievous and curious goats. You might not be able to take a kitten who needs constant feeding, or a dog that has aggression issues. That said, if you can stretch your comfort zone, do. Some animals need a little extra care because they’ve had a hard life. That makes them vulnerable to euthanasia, and a foster can make all the difference. Things like giving animals fluids or medications, managing diapers, or handling other vet stuff might sound scary, but it’s pretty easy to get the hang of it. 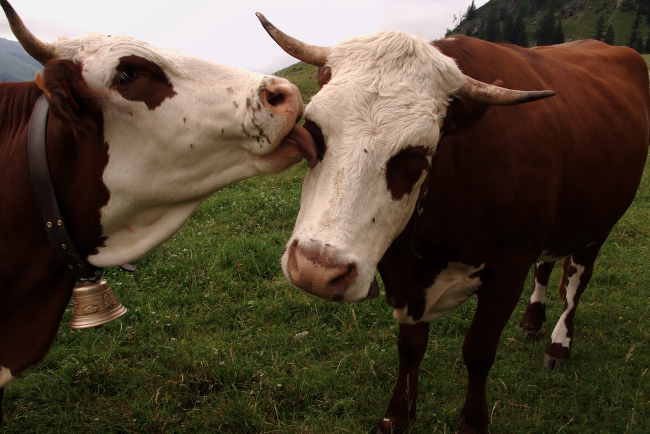 7) Don’t have a cow — on your plate or anywhere else. We saved the easiest for last, because chances are that you’re already well on your way with this one. When it comes to what you eat, consider cutting animal products — or at least meat — out of your life. You’ll save a ton of suffering, and also, a ton of money, if you’re trying to cut back in 2017. If you can’t cut animal products out entirely, consider moderating: Meatless Mondays are popular, for example! Something else that really works for me is a soup exchange — a group of us make huge batches of vegan soup and share them out once a month, so there’s always a go-to vegan meal hanging out in my fridge or freezer when I need it! And, of course, cutting animal testing out of your life is valuable too. Growing numbers of cosmetics are produced without the use of animal testing, though it’s always a good idea to independently verify to see if a company is skirting labeling conventions. For example, some companies say “made without animal testing” because they don’t test ingredients on animals, but third party contractors do. Ugh! If you take medication, you’re caught in the animal testing trap — but it’s worth writing the manufacturer, as well as the FDA, which governs drug testing, to push for alternatives to animal testing so that you have cruelty free options for your health care needs. All that is required from me is to hope that every one of you has a peaceful and healthy New Year.